Finally released the first and quirky track Rappan Rappi Rap at an event in Mumbai. 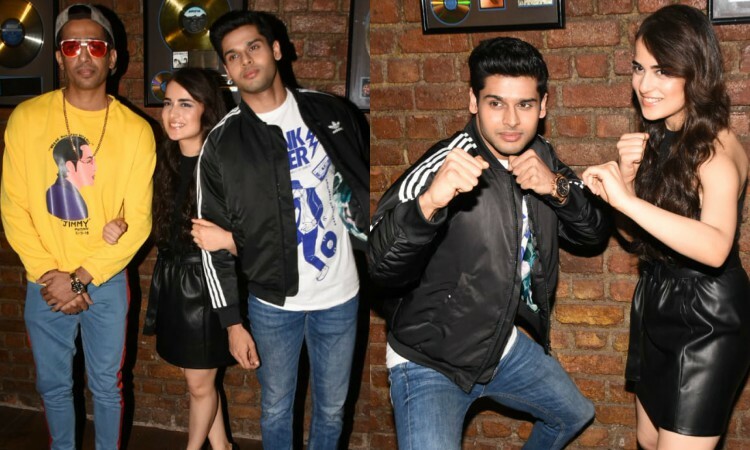 The event was attended by the director Vasan Bala along with Abhimanyu Dassani, Radhika Madan, and Gulshan Devaiah who did not miss a single chance to treat their fans with the comical flicks of the film. 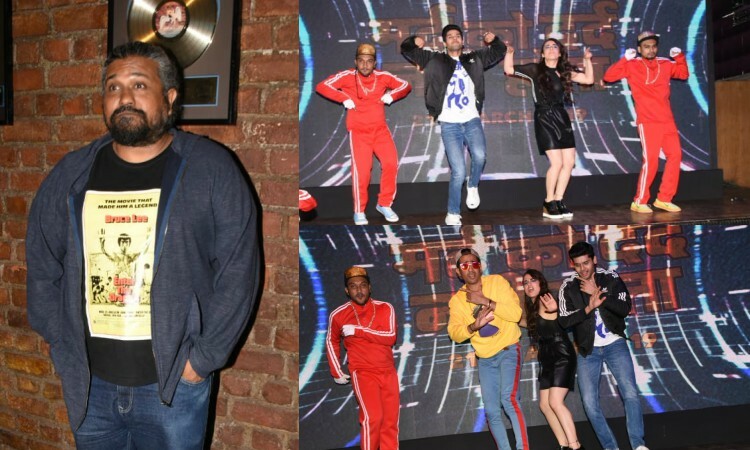 The event started with dancers showcasing their dancing prowess, the entire cast including Abhimanyu Dassani, Radhika Madan and Gulshan Devaiah didn't step back but danced their hearts out. After this, the event had a Question and Answer session with the media with the entire team of Mard Ko Dard Nahi Hota. Starring Abhimanyu Dassani, Radhika Madan, Gulshan Devaiah, Mahesh Manjrekar and Jimit Trivedi Mard Ko Dard Nahi Hota boasts of action and comedy that will leave you in splits. After gripping the nation with the patriotic sentiment with URI: The Surgical Strike, Ronnie Screwvala's RSVP is all set to treat the audience with Internationally acclaimed action comedy Mard Ko Dard Nahi Hota. Packed with action and comedy, Mard Ko Dard Nahi Hota brings to screen the story of a man suffering from congenital insensitivity to pain. Stepping into the shoes of a painless man, Abhimanyu Dassani marks his Bollywood debut along with Radhika Madan. The actress will also be seen packing a punch with heavy action sequences. Hrithik Roshan uses a NEW perfume for his EVERY film! Aamir Khan plans to blend Work and Fun for his 54th birthday! 'Uri...' director Aditya Dhar REVEALS the STORY behind How's the josh? Casting of This Actress in Angrezi Medium will make you feel EXCITED!